As we already know from media reports and hedge fund investor letters, many hedge funds lost money in fourth quarter, blaming macroeconomic conditions and unpredictable events that hit several sectors, with technology among them. Nevertheless, most investors decided to stick to their bullish theses and their long-term focus allows us to profit from the recent declines. In particular, let’s take a look at what hedge funds think about Taiwan Semiconductor Mfg. Co. Ltd. (NYSE:TSM) in this article. Taiwan Semiconductor Mfg. Co. Ltd. (NYSE:TSM) has seen a decrease in hedge fund interest lately. Our calculations also showed that TSM isn’t among the 30 most popular stocks among hedge funds. We’re going to review the key hedge fund action encompassing Taiwan Semiconductor Mfg. Co. Ltd. (NYSE:TSM). At Q4’s end, a total of 37 of the hedge funds tracked by Insider Monkey held long positions in this stock, a change of -12% from the second quarter of 2018. 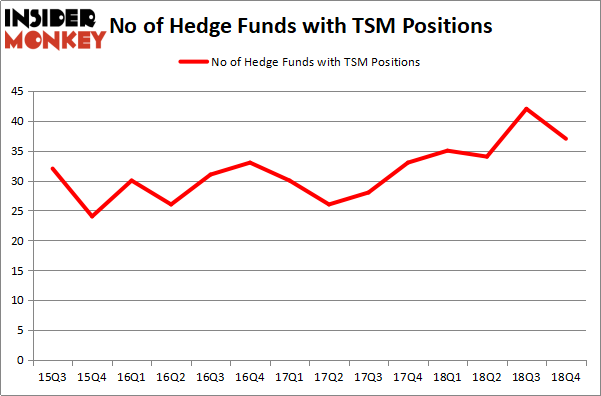 The graph below displays the number of hedge funds with bullish position in TSM over the last 14 quarters. So, let’s review which hedge funds were among the top holders of the stock and which hedge funds were making big moves. Due to the fact that Taiwan Semiconductor Mfg. Co. Ltd. (NYSE:TSM) has faced bearish sentiment from the entirety of the hedge funds we track, it’s easy to see that there lies a certain “tier” of funds who sold off their entire stakes heading into Q3. 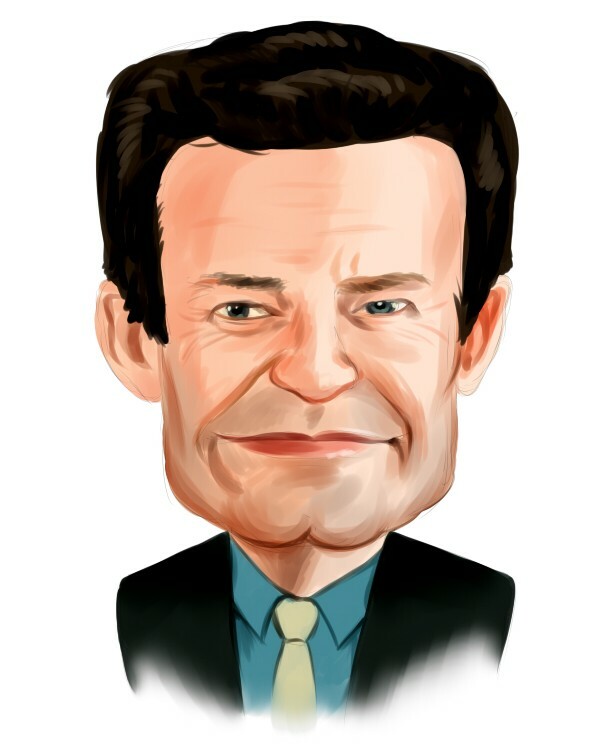 Intriguingly, Panayotis Takis Sparaggis’s Alkeon Capital Management sold off the largest investment of the 700 funds tracked by Insider Monkey, comprising an estimated $88.3 million in stock, and Christopher James’s Partner Fund Management was right behind this move, as the fund dumped about $63.5 million worth. These transactions are intriguing to say the least, as total hedge fund interest dropped by 5 funds heading into Q3. Let’s go over hedge fund activity in other stocks – not necessarily in the same industry as Taiwan Semiconductor Mfg. Co. Ltd. (NYSE:TSM) but similarly valued. We will take a look at The Boeing Company (NYSE:BA), Toyota Motor Corporation (NYSE:TM), HSBC Holdings plc (NYSE:HSBC), and The Walt Disney Company (NYSE:DIS). This group of stocks’ market values are similar to TSM’s market value. As you can see these stocks had an average of 39.25 hedge funds with bullish positions and the average amount invested in these stocks was $2151 million. That figure was $4007 million in TSM’s case. The Walt Disney Company (NYSE:DIS) is the most popular stock in this table. On the other hand Toyota Motor Corporation (NYSE:TM) is the least popular one with only 8 bullish hedge fund positions. Taiwan Semiconductor Mfg. Co. Ltd. (NYSE:TSM) is not the least popular stock in this group but hedge fund interest is still below average. Overall hedge fund sentiment towards TSM seems to be bearish to neutral. Our calculations showed that top 15 most popular stocks among hedge funds returned 19.7% through March 15th and outperformed the S&P 500 ETF (SPY) by 6.6 percentage points. Unfortunately TSM wasn’t in this group. Hedge funds that bet on TSM were disappointed as the stock returned 7.4% and underperformed the market. If you are interested in investing in large cap stocks, you should check out the top 15 hedge fund stocks as 13 of these outperformed the market.